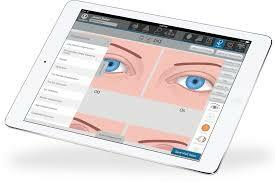 Grin Eye Care is proud to use Modernizing Medicine's EMA to document all of our patient visits. The good news for our patients is that medical records can now be accessed 24/7. The link to the Patient Portal is located in the upper left hand corner of our web page. When you come in for an appointment, you will be given a username and password. Through the portal, you can access any visits that have been recorded in EMA. Using the mail feature, you can send a message to our contact lens staff when it is time to reorder or contact our clinical staff directly with any questions related to your visit.